So I've never really been a huge Venom fan in the past but I've been following this latest run and it's been great. I also really love Tom Hardy's version of the character. The movie wasn't perfect, but Hardy Venom was enjoyable throughout. So I'm wondering, isn't it time for Venom to strike out on his own, away from the greater Spider-Man franchise? I know they have tried it in the past, but it seems they always drag him back. Maybe it's time to cut the chord (tentacle?) For good. I mean they can still interact in stuff. Wolverine still pokes Hulk with his claws now and again, but he's not just the guy who pokes Hulk with his claws. He has a life outside of that. Mostly poking other people, but still. Read the latest issue and is the thing about the green saliva a recon? Because it makes too much sense. I don't know if it's a retcon, per se, as I don't think anyone ever bothered to explain the green saliva in the first place. It's nice of Donny Cates to give Flash some love. 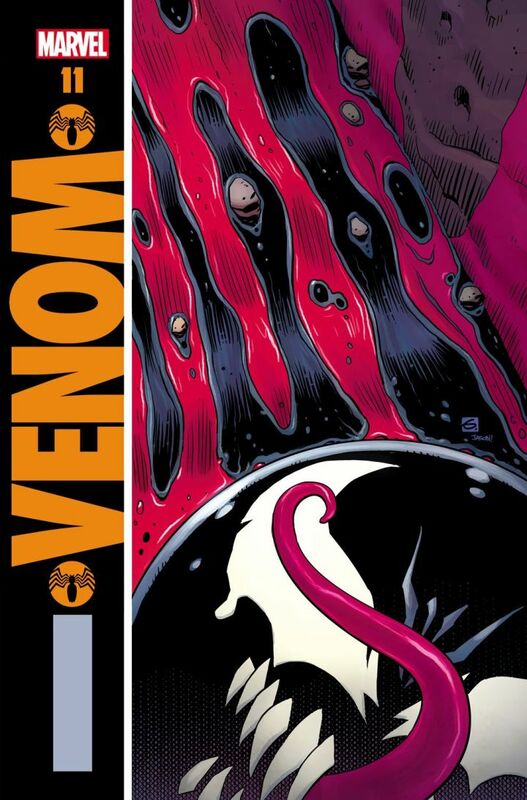 BTW, here's Venom #11 variant by none other than Dave Gibbons, i wonder how far are they going to take this "better than Wathmen" joke lol.. I really want to hear more from the Maker on what he wants Venom for. Fun issue, but the Maker having Flash's DNA just really creeper me out. That was great. Good to see the Maker get humbled. I'm just scratching my head with a body of Cletus at the end. How did it not get consumed by the Poison? Awesome issue. The shout outs to Flash were outstanding. And that last page!!!! Best book from Marvel right now. How about that page with Maker looking on all his screens going, “I wonder what’s next?” and every one was something bonkers. Another great issue but I might be biased due to my love of a certain character who makes an appearance. I won't say more as not to spoil things for those who have yet to pick up the issue. Yeah, I loved that scene. I like that this book clearly has a reach across the greater MU rather than just being in its own corner.